Imagine you were the racing gods and could write the script for an F1 season, what would it include? Exciting races, no doubt. Competitiveness may be high on your list, both among the nominal front-runners as well as plenty of competitors able to provide a surprise interloper presence at the front on certain days, resulting in a multitude of drivers and teams getting a win. Top quality driving too, with maybe three or four drivers providing magnificent displays almost every time, and others having ample impressive races. And the championship battle would be exhilarating and tight, have plenty of ebb and flow and be between several teams. It would also not be decided until the last, in a finale which if anything surpasses what came before. Well, the 2012 F1 season had all of these and more. Surely it will go down in history as a great one. 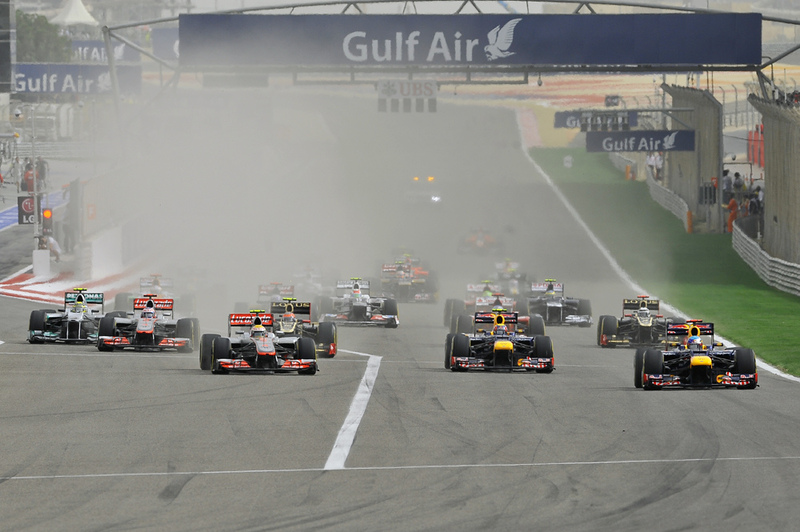 In many ways the year was a continuation of F1's brave new world started in 2011. For that season the powers that be finally worked out that most of us thought that F1 racing bereft of racing cars racing each other didn't make for a diverting Sunday afternoon. And they went and did something about it; desperate times brought desperate measures with DRS, KERS and degrading Pirelli tyres. And say what you like about it but it certainly worked, with overtaking skyrocketing to levels not seen at any point since such things started to be measured. Suddenly F1 was not a resolution of pre-ordained strategy and fuel levels, races were no longer decided 'at the last stops'. 'Fake!' shouted the purists, but personally I'd much rather defend that point than defend dull races. And frankly the good ship of F1 purity sailed long ago (see narrow track, grooved tyres, downsized engines, parc ferme after qualifying, resource restriction etc etc). But there were a couple of things missing last year if one was being greedy. One is, the F1 championship title destination was decided early, both metaphorically and literally. Another is that battle at the front had got rather samey. Aside from two early-season Enstone podium runs, only the 'big five' (Vettel, Webber, Hamilton, Button and Alonso) got onto the podium in 2011. And we had to go back to the Brawns in 2009 for the last time something other than a Red Bull, McLaren or Ferrari won a race. We had to go back to Mark Webber's victory in Germany in mid-2009 for the last debut winner. These drawbacks were sorted emphatically this year. In 2012's season-opener in Melbourne it looked like more of the same though. Yes, the grid was a bit more shuffled than what we were used to, but the old order re-established itself on race day, the 'big five' filling the top five places even though Red Bull and, especially, Ferrari looked to be struggling by their own standards. But a week later in Malaysia we got our first indication that this was going to be no season like we'd grown used to. The unlikely figure of Sergio Perez showed astonishing pace and probably should have won, but for a late error plus earlier strategy caution from his Sauber team consigning him to finish second. And within a few weeks we'd seen debut wins for Nico Rosberg in his Mercedes and, most surprisingly of all, Pastor Maldonado in the Williams, a result which has good claim to being F1's most unforeseen dry-weather win on pace in the sport's history (as well as, given it ended the Grove team's almost eight-year wait for a Grand Prix win, was the most popular result of the year). Seven different drivers won the first seven races, and the first five were won by different teams; both are records. By the time the year was out Lotus had also claimed a win (in a year in which its cars were quick just about everywhere), and even Nico Hulkenberg in the Force India looked a probable winner for much of the final round. Eight drivers from six teams won a race in 2012, and with a few cards falling the other way even 1982's all-time record of 11 winners in a season might have been under threat. And thirteen drivers made the podium, close to double the number from last year. So, what happened? Pirelli promised to 'push things to the edge' this year compared with last, and it can be said to have done that. Many in the early rounds complained of races becoming 'tyre lotteries'; probably an exaggeration but there was a large element of mystery to handling the rubber at that stage. Perhaps, also just like last year, the degrading qualities didn't let the most aerodynamically advanced cars stretch their legs. But Adrian Newey as usual was more level-headed than most, noting that it wasn't that the tyres were impossible to understand, more that the teams hadn't understood them yet. And sure enough that's how it transpired, with the big brains of F1 getting themselves around the problem as is their tendency. By the year's latter part talk of tyre lotteries was gone. 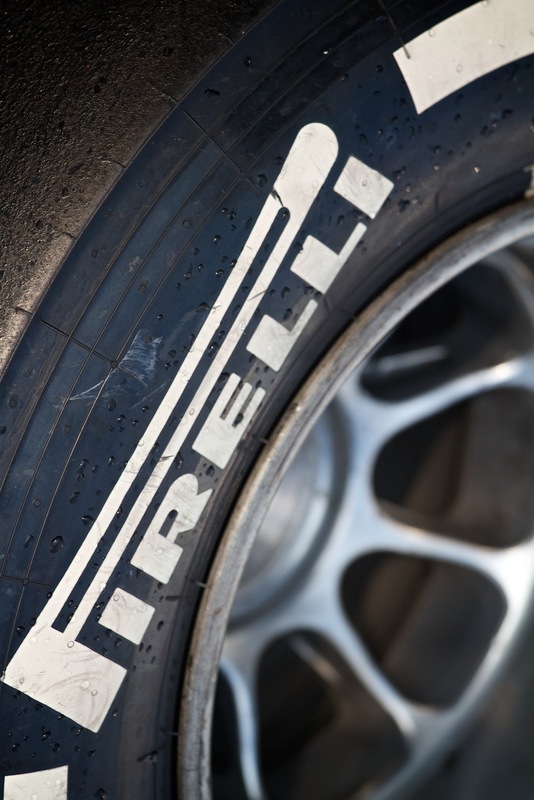 Pirelli - creating a lottery? But at the end of it all it was familiar faces that took the title honours. 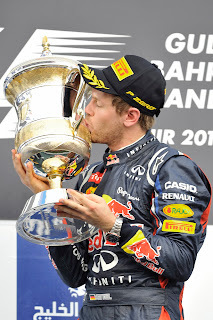 Sebastian Vettel and Red Bull emerged triumphant, for driver and team their third championship in a row and thus taking many records as they did so. But this was no cruise as in 2011. Both had to fight, and in doing so had to display qualities that they'd had for a while but perhaps that we hadn't always appreciated. The afore-mentioned diffuser blowing restriction reigned in the Red Bulls especially and Adrian Newey admitted as much, likening it to the effect the banning of electronic driver aids had on Williams in 1994. Thus, for most of the first two-thirds of the season the Red Bull was just another car near the front of the pack. The McLaren looked the quickest set of wheels, particularly early on, Kimi Raikkonen-inspired Lotus had bounced back strongly from its annus horribilis with the forward-facing exhausts, while Alonso in his Ferrari F2012 was performing something akin to an Indian rope trick in keeping himself at the drivers' table top. And for most of this time Vettel operated under the radar; most weren't talking of him as a title contender. Seems odd to say now, but at the summer break Seb sat behind his team mate Mark Webber in the points standings (though that owed something to him losing a sure win in Valencia with a dud alternator), and didn't feature all that strongly in title speculation. The narrative instead was: could Alonso hold on? Could Lewis Hamilton armed with his MP4-27 chase him down? Could Kimi and his 'device' be a dark horse? But all the while Seb had been performing well. Despite being deprived of his usual one-lap qualifying handling, he fought well in the pack and accumulated points that would prove vital later. But Red Bull has for a while been excellent at in-season development, and in the nick of time it got its RB8 right. Many eyes focussed on its 'Double DRS', which certainly allowed the Bulls to dominate from the front and run with plenty of wing, just as it had in 2011, but it was not all of the story, as improvements were also made to the exhausts and elsewhere. This all put Seb on a pedestal: he took four wins on the bounce in a year that no one else managed even two maximum scores in a row, dominating just like it was last year all over again. And by he time he'd done this he had one hand on the championship trophy. Before the year was out he also put in two race-day drives that must be the final nails in the 'Seb can't pass/Seb can only race from the front' coffin: at Abu Dhabi and Brazil he was at the back, but came through the field in the blink of an eye, and in both scored points without which he would not have been champion. Yes he had luck on both days, but he rode his luck like a champion jockey. The achievement of three titles on the bounce for driver and team, and being the first three for both, is of course not to be sniffed at. However, as things stand there seems an element of unreality about it. Affection and admiration for the triumphs, outside of the team itself and its supporters, is hard to come by (and some noises emerging from the team since the season end betray them being irked at this). Of course, mutual respect in F1 isn't what it was many decades ago, and perhaps further the reaction in part reflects the team's arriviste status. But surely appreciation will grow with time, as a fuller and more dispassionate historical perspective is established. Vettel's and Red Bull's records of the last three years are not likely to be matched any time soon. It was a good year for vintage driving performances. And this was the case with Fernando Alonso as much as anyone. The F2012 has a disastrous birth, and indeed looked evil as it arrived in Melbourne in the first race (and not just aesthetically). Come the European season the most glaring faults on it were rectified, which got Alonso somewhere near the front. But in the latter part of the year, as the Red Bull kicked, the Prancing Horse proved maddeningly resistant to further improvement. So-called upgrades sometimes seemed to make it slower. And yet, somehow, at the end of it all Alonso was only three points shy of the drivers' title. And he's not without his fair share of 'what if?' moments that could have tilted the ultimate prize his way. His was an astonishing season of driving, probably among the best ever that in F1 history. Had he triumphed it would have been genuinely difficult to cite a more impressive and unlikely championship win from previously by anyone. But for the Scuderia there are bigger questions to ponder. Just how did they manage to come up with a car so poor out of the box? Why did its in-season development falter? It doesn't reflect well on the team's development tools, and even using the Toyota wind tunnels in Cologne (just as McLaren did with better results) seemed hardly to help things. Plenty for Pat Fry to think about. Presumably the team cannot rely on Alonso papering over the cracks in its aero department for ever. Lewis Hamilton was another to have a magnificent season, back at the peak of his considerable powers after a trying 2011. He was almost always quick, always aggressive, and he didn't so much as receive a reprimand from the stewards (after a 2011 when, in his words, he had a loyalty card with them). And for the most part his McLaren was as quick as he was. The problem was invariably it seemed something would impede him before the chequered flag, be it botched pit stops, unreliability or other operational problems. By the end of the year most of these appeared sorted aside from the unreliability, but not before they'd cost Lewis a (probable) championship. It seems undeniable that McLaren should have won at least one of the titles this year, it having the quickest car for the balance of the season. As it was, for the reasons given it didn't really come near to either. And given titles have been meagre for the squad in the last 20 years it gives reason to muse that there are problems there that go a little deeper than the usual transient distribution of fortune in F1. For next year Lewis has shaken the kaleidoscope, and is off to Mercedes. One can only hope he knows what he's doing on that one, given the Brackley squad once again produced a car with fundamental flaws, and thus it remains jam tomorrow for Merc. One also wonders if there's underlying structural flaws in that team, given it's been flattering to deceive for most of its existence under various guises. And then there was Kimi and Lotus, both of whom bounced back this year. It's easy now to forget the doubts that surrounded Kimi's return to the sport after two years away, but it transpired we need not have worried. The pace of the McLaren days perhaps wasn't quite there (but he was still quick enough) but in a favourable environment he put together a season of breathtaking consistency, which had him finishing every race and scoring in all but one, as well as clinging to the coattails of the title battle. Indeed, had Lotus not entered the technical blind alley of the rear wing 'device', covering several races at a vital part of the season, who knows where Kimi could have ended up in the championship table? And of course, the sport once again had full benefit of Kimi's unique brand of charisma: somehow he is a lot of what you feel a racing driver should be. But as is often the case, even when all is well on the track problems can bubble just below the surface. This was the case in 2012, and as is usually the case those problems were to do with money, brought into sharp focus in recent times by a world economic slowdown. The HRT team coughed its last at the end of the season, and while some may dismiss that team as a basket case there are reasons to think that many other teams aren't in the rudest of financial health either. Lest F1 spend itself into oblivion, the issue of cost control lingers, and indeed rather festered in 2012 like an old wound in need of cleansing. Red Bull's spending in comparison to the resource restriction agreement arouses suspicion among rivals (as does its close relationship with Bernie and its tendency to stand alone - with Toro Rosso, natch - on political matters including cost control), but thus far nothing has stuck. And indeed it all may simply reflect resentment combined with F1 teams' habitual inability to trust one and other and paranoia about giving others advantage. Cost caps and even customer cars continue to be mooted as solutions to the whole problem, but (for the reasons in the previous sentence) finding something that everyone agrees on will not be the work of a moment. Of course, that 40% of F1 revenues go off to the profit-hungry commercial rights holder CVC never to be seen again doesn't help things. Apparently that money by itself would be sufficient to keep HRT and three other teams going for the next three years at least. With all of this it is not a surprise that the sport followed the money rather slavishly in 2012, and with almost no regard for other considerations. The Korean round lingers on to no ones great enthusiasm (least of all that of the organisers it seems), but by far the worst case was the round in Bahrain. Of course, Bahrain remains a country in turmoil with considerable protest against the ruling regime (the very people who associate themselves closely with the race) and allegations of ruthless suppression of it ongoing. 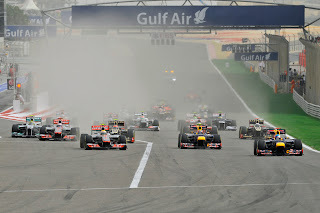 The Bahrain race of 2011 was cancelled as a result, but the 2012 race was slipped into the calendar as normal even though there didn't seem a great deal of evidence of much improvement, and the race went ahead this time. F1's ability to make itself look foolish is well-established, but Bernie and the FIA insisting on marching the F1 troops into that situation has to be right up there with the best, or rather worst, of them. If nothing else, they were playing fast and loose with the welfare of all involved in the sport's travelling circus (and a few more in Bahrain besides); that the F1 fraternity emerged unscathed frankly owed as much to chance as to anything else. And, inevitably, on the race's weekend F1 footage was routinely spliced with footage of civil unrest across the forefront of the mass media. At best the sport was made to look uncaring, at worst much worse than that: asinine, greedy, perhaps even siding with oppression. And I don't believe those in charge of the sport are so naive as to have expected any different (I hope not anyway). Of course, the usual 'we don't do politics' line was trotted out in defence, but everything is connected to everything else; politics, and sport, are to do with everything, and by stepping into that sensitive situation they were choosing to get involved in the politics of it (and the staging of the F1 race was clearly a focus for many protesting). As Ari Vatanen noted 'saying you are not political is an excuse to do nothing'. 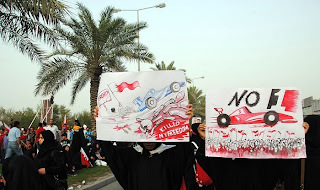 And in any case, whatever vestiges there were of that line of defence were surely blown apart by the Bahrain race organisers' 'UniF1ed' marketing slogan, about as overtly a political statement as you'll likely find associated with a sporting event. And to my knowledge the race's organisers have yet to face any sanction for it. F1's money worries manifested itself in other ways too. At the time of writing the grapevine has both Kamui Kobayashi and Heikki Kovalainen missing out on a 2013 race seat when the music stops. We could debate the merits of both drivers all day long but whatever the case their lack of a pot of gold behind them is a major impediment. In both cases it appears that they are being replaced by a pay driver. Indeed, just about all those drivers entering the sport in 2013 have some kind of significant financial backing (and that's been the case for a good while). I have all sorts of conflicting thoughts on this situation. On one hand, I can see that a driver can be useful in raising finance for a team, after all a CEO is much more likely to pick up the phone when a driver calls than when a team principal does. And perhaps it's also, right or wrong, the new reality that drivers have to learn to adapt to. But the ratio between sponsors' finance accrued by drivers and accrued elsewhere seems all wrong at the moment. And when you look at the cars on an F1 grid and see most of them with hardly a sponsor on them, and that many sponsors that are there are brought by drivers or associated with the team ownership, you wonder if the teams are doing enough themselves? But there are a few green shoots on that. In the season-ending Brazil weekend it was announced that no less than the Coca Cola Corporation is coming into F1, with its Burn brand sponsoring Lotus. This was followed by confirmation that Infinity is to become Red Bull's title sponsor from next year. Thus after a fallow period (highly visible from looking at the cars, as mentioned) it seems multinational companies are seeing F1's global potential and are beginning to return to the sport. Of course, the recession was a big contributor to the lean spell, but probably F1's ability to make a fool of itself it regular intervals (also already mentioned) also hasn't helped. Perhaps the quality of the racing and the sport's growing association with 'green' technology - with major changes on the way in 2014 and which like it or not is an increasing expectation of wider stakeholders - and thus alleviating F1's possibly outmoded 'gas gussling' image has also assisted the F1 brand. And the sport doesn't always get it wrong on where it chooses to pitch its tent. For years, perhaps decades, F1 has regarded breaking America as an itch that it's just never been able to scratch. 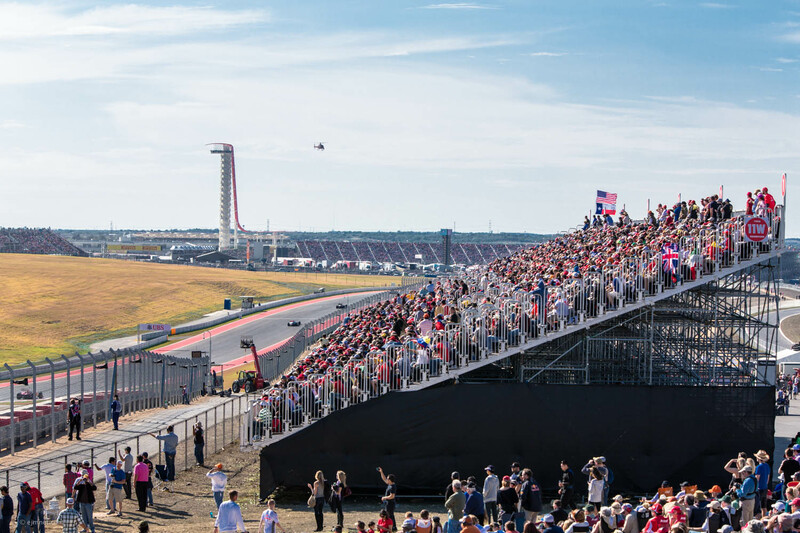 And this year was witness to its latest attempt on the States: at a new permanent purpose-built facility in Austin, which hosted its debut race for the calendar's penultimate round. And whaddaya know, it only went and nailed it. It's hard to imagine how it all could have gone better: the Austin facility is a fine one, the layout challenging, undulating and popular with fans and drivers alike. And not even the worries about a tepid race were borne out, as its show was one of the best of the season. Best of all, some 120,000 were there on race day to see it all (and plenty were in attendance on the other two days), and I for one got the distinct impression that many of them will be back. Of course, this is just the beginning; what happens next is crucial and F1 has had plenty of false dawns before (I'm looking at you, Turkey), and historically F1 has shown an unhealthy tendency to blow a hole in its own foot in regard to races in the States. But it's tempting to think that F1 has just given itself its best ever chance of at last getting it right in the US. Thus, as we head into 2013 there might just be some reasons to think F1 is improving off the track as well as on it. Which is perhaps the year's most unlikely aspect of all.